Modern workplace health and safety is about more than just physical well-being. Costs related to psychological injuries sustained at work are on the rise, and employers are starting to take note. According to the Mental Health Commission of Canada, “mental health problems and illnesses are the leading cause of short‐ and long‐term disability in Canada and the toll on Canadian workers and workplaces is substantial.” It estimates that 500,000 Canadians per week are unable to work due to psychological issues, and that workplace losses related to mental health issues amount to nearly $20 billion per year. In this article, we’ll look at some of the consequences employers may face related to psychological injury and harassment in the workplace, and we’ll explore ways employers can reduce the risk and effectively respond to sensitive situations. “Psychological injury” refers to a mental health condition resulting from an event or series of events. Courts and adjudicators have recognized a variety of conditions as psychological injuries – including post-traumatic stress disorder (PTSD), acute stress disorder, anxiety, generalized anxiety disorder, phobias, panic disorder, conversion disorder, pain disorder, major depressive disorder, neurocognitive disorder and adjustment disorder. All jurisdictions in Canada provide some level of workers’ compensation coverage for certain psychological injuries that arise out of and in the course of employment. Such coverage was originally aimed at first-responders who witnessed violent altercations, severe accidents or deaths in the course of their employment and suffered PTSD or a similar psychological illness as a result. However, some jurisdictions (such as Saskatchewan) have taken a much broader view, providing coverage to employees who are not first responders but who have experienced chronic traumatic work-related incidents. Less obvious examples of traumatic events may include long-term work stressors, workplace conflict, harassment and bullying. That said, (and as the Workers’ Compensation Board of Manitoba notes,) “psychological injuries that occur as a result of burn-out or the daily pressures or stressors of work will not give rise to a compensable claim.” And reasonable actions taken by an employer relating to management – such as hiring, firing, promoting and disciplining employees – are not considered traumatic events or harassment. What is the Employer’s Role in Psychological Safety? As with physical health and safety obligations, employers should minimize the risk of workplace psychological injury and promote a psychologically healthy work environment. Employers must ensure, as far as is reasonably practical, that workers are not exposed to workplace-related harassment or workplace violence. Employers must also prepare, implement and regularly review written policies for dealing with and preventing incidents of workplace-related harassment and workplace violence. One highly publicized instance involving the Workers’ Compensation Board of Prince Edward Island is a strong reminder of the importance of providing a harassment free workplace – and of properly investigating complaints or circumstances that may constitute harassment and taking corrective action in a timely manner. In this case, the Board awarded death benefits, funeral costs and survivor pension payments to Lisa Donovan after her husband, Eric Donovan, died from a heart attack. Ms. Donovan was able to establish that her husband’s heart attack was caused by a workplace injury – specifically stress and anxiety developed over 17 years as a group home worker. Eric Donovan had gone on a medical leave after injuring his back at work. Prior to his leave, Mr. Donovan had been harassed and bullied by a supervisor who criticized his work style and called him a “wimp” for his back injury. As his return to work date drew nearer, Mr. Donovan became increasingly stressed and anxious. He eventually returned to work and was again subjected to emotional abuse from his supervisor. Mr. Donovan suffered a fatal heart attack only days after returning to work. Employers can take several lessons from this decision. Repeated demeaning comments made by a supervisor or fellow employee can have significant impacts on an employee’s health and well-being, causing stress, anxiety, PTSD and possibly death. This reinforces the importance for an employer to proactively establish policies disallowing this behaviour, and to address such behaviours in a timely manner by conducting a thorough investigation and taking immediate, effective corrective action. The duty to accommodate a disabled employee, up to the point of undue hardship, is a fundamental obligation that exists in all Canadian jurisdictions. The accommodation of a workplace psychological injury may include a change in schedule, change in reporting structure, change in position or work location, modified duties, leave of absence and/or graduated return to work. An employer’s duty to accommodate must be considered based on the circumstances relating to the individual employee and the particular workplace. However, prior decisions provide guidance to employers on how to respond to situations requiring the accommodation of an employee with a workplace psychological injury. When considering a request for accommodation, an employer must maintain an open mind, be objective and fair and ensure that considerations relating to the search for accommodation are based on appropriate medical information. Hamilton-Wentworth District School Board v. Fair is a dramatic example of an employer who failed to adhere to those requirements and, instead, took an overtly critical, adversarial approach. In this case, employee Sharon Fair developed anxiety, depression and PTSD after overseeing asbestos removal for her employer, a school division. Ms. Fair went on medical leave and received disability benefits. As a result of her disability, her employer owed her a duty to accommodate. In April 2003, Ms. Fair indicated to her employer that she wanted to return to work. Her treating psychiatrist advised that any accommodation would require that Ms. Fair not be personally liable for health or safety concerns, such as from overseeing a construction or renovation project. Over the course of 2003, Ms. Fair attempted to apply for two positions, including a position in the plant department. However, because of her medical condition and associated restrictions, her employer told her she could not be considered for any position in the plant department. The second psychiatrist confirmed Ms. Fair’s condition and the restriction on her ability to work in positions which involve personal responsibility for health or safety issues. Despite this finding, the employer did not identify any suitable positions and, in July 2004, terminated Ms. Fair’s employment. Ms. Fair initiated a human rights complaint alleging discrimination, and also initiated a wrongful dismissal claim in court. The Ontario Human Rights Tribunal held that the employer failed to investigate possible accommodations or find an appropriate position. The employer’s negative approach to Ms. Fair’s condition, clearly expressed in its instructing letter to the second psychiatrist, was a costly mistake. The Tribunal ordered reinstatement, resulting in damages of more than $400,000 in back pay. Further, the employer was required to compensate Ms. Fair for her loss in pension accumulation, CPP, insurance and health benefits. Finally, the Tribunal ordered the employer to pay $30,000 to Ms. Fair for injury to her dignity, feelings and self-respect. In all, the failure of the employer to treat Ms. Fair’s condition seriously and make sufficient efforts to provide her with an accommodated position cost the school board nearly half a million dollars. On appeal to the Ontario Court of Appeal, this costly decision was upheld. Creating policies which seek to reduce workplace harassment, bullying and stress, properly investigating complaints and enforcing such policies should reduce the risk of successful claims or complaints and the volume of disability claims with which an employer may be faced. When a complaint or disability leave claim is received, the employer should take it seriously and act in good faith. 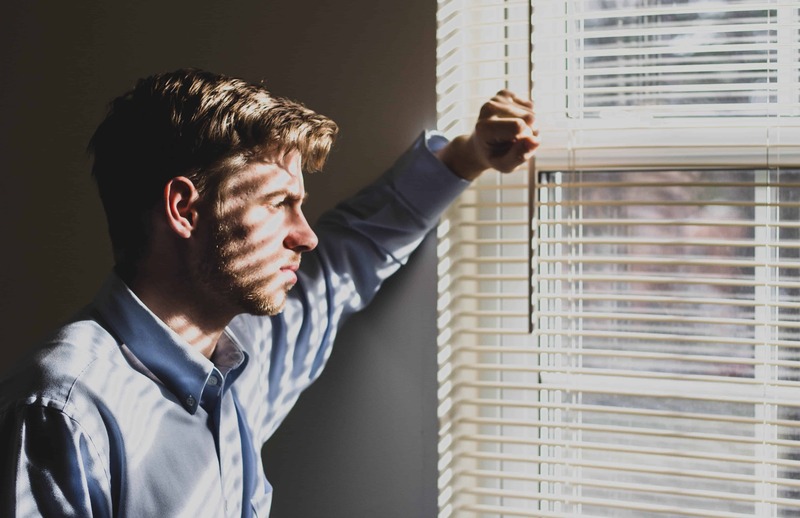 Dismissing or trivializing an employee’s serious mental health issues will only increase the likelihood for damage awards against the employer at a hearing or trial. When an employee eventually returns to work from a disability leave, the employer must fulfil its duty of accommodation and offer reasonable accommodations for the employee’s disability, up to the point of undue hardship. Keeping these objectives at the forefront will ensure a smoother and less costly process for all involved.